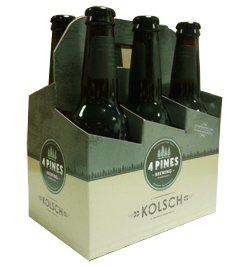 From the 4 Pines Brewing Company, is Kolsch, a german style golden ale. Light straw in colour. Aromas of lemon/lime prelude a light malty palate. Finishing crisp and clean showing hints of spice and citrus.